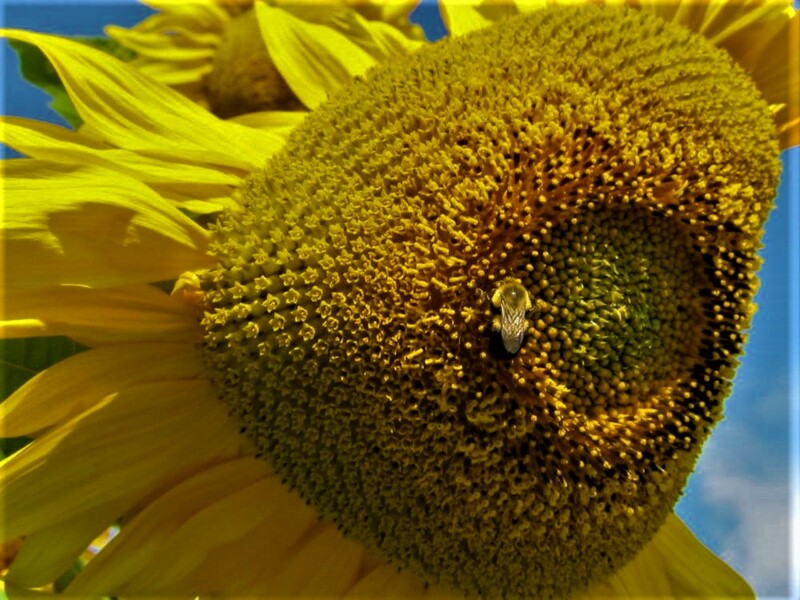 Lorne Publishing: Pollinators: a Short, short, short tale. The hot wind gently shook the flowers. The weather had been dry and exceptionally warm for the past week. 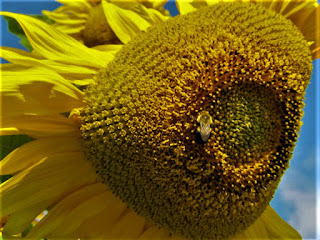 We saw a lone bee buzzing around one sunflower. This was a surprise because we knew that bees and other pollinators were experiencing a major die off. A die-off that was so serious, people were beginning to worry about their food supply. Shortages were already being noticed in stores, blueberries, almonds and many other normal food items had risen in price and in danger of becoming luxury items. This lone bee on a single flower sparked hope. More would come.